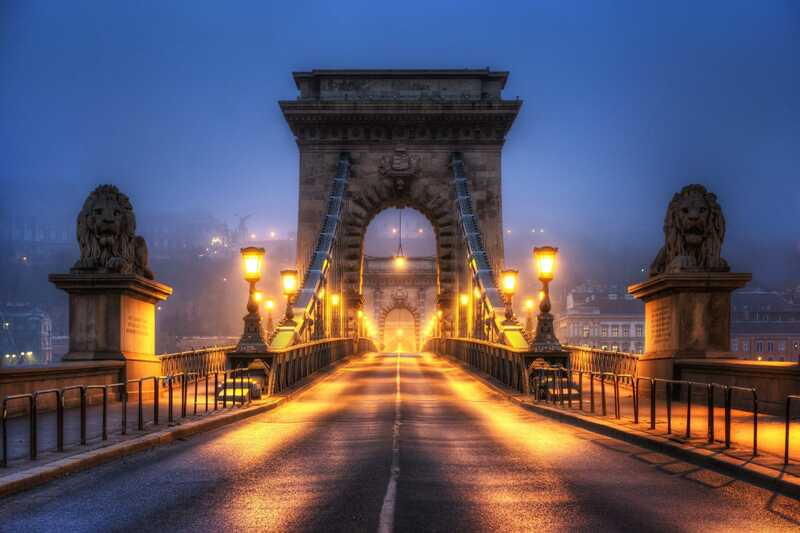 The Chain Bridge is one of the most famous buildings in Budapest. The original bridge was built between 1839 and 1849, after the Hungarian Earl Széchenyi encouraged the design and construction of same. It was the only connection between the two cities Buda and Pest, which have been separated by the Danube up until then. The Széchenyi Chain Bridge quickly became one of the busiest roads and over the years has been extended and equipped for the ever-growing volume of traffic. I wasn’t surprised to learn that the central area of Budapest that is situated along the Danube River is part of the UNESCO World Heritage. There are many remarkable buildings there, such as the Hungarian Parliament (you can see it, glittering on the picture) or the Fisherman’s Bastion. Another golden point which you can see in this photo is Saint Stephen Basilica. Three times I had been now to Budapest, and all three times I found my accommodation to be right next to the St. Stephen’s Basilica. And on every of my visits I had at least a brief look into the basilica – and the golden cupola stuck in my mind. 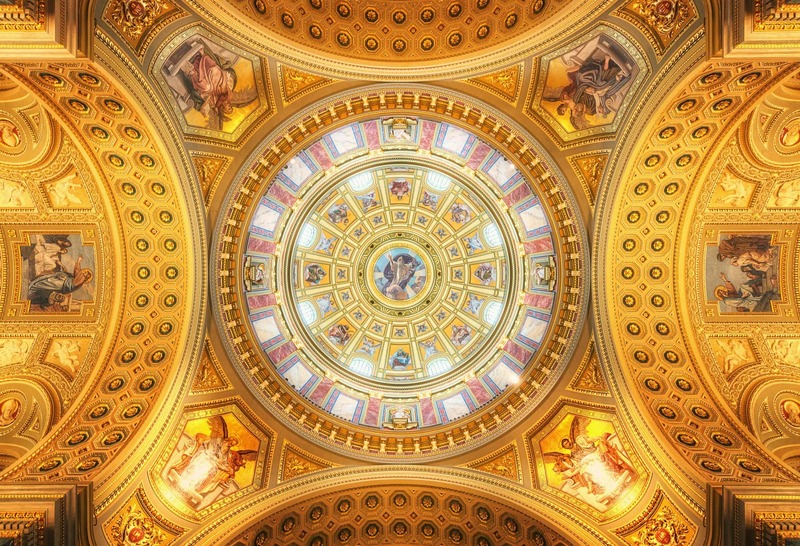 By the way: The person in the middle of the cupola is really supposed to be God! That seems pretty unique to me, do you know any other church in which you find a portrayal of God?